The World of Hyatt loyalty program allows members to book award stays at Hyatt hotels around the world. It has been a tremendously popular program among miles and points enthusiasts because of its reasonable redemption rates and some amazing properties. The Chase Hyatt Credit Card provides a great way to earn Hyatt points and comes with a number of perks that can improve your travel experience. Don’t forget that this card is not impacted by the Chase 5/24 rule, so cards that earn Ultimate Rewards will still be a top priority. Let’s take a look at what this card has to offer. Hyatt might not have as many properties as Hilton or Marriott, but there are a bunch of reasons why you might want to get the Chase Hyatt Credit Card. When you use the Chase Hyatt Credit Card, you will earn Hyatt points on every purchase, which can then be used to book award stays at Hyatt brands such as Grand Hyatt, Park Hyatt, and Andaz Hotels. With this card, all purchases at Hyatt hotels (including resorts) will earn 3X points per dollar spent. Purchases at restaurants, car rental agencies, and airfare directly from airlines will earn 2X points per dollar spent. All other purchases will earn 1X points per dollar spent. The Chase Hyatt Credit Card comes with a sign-up bonus as well. In the past, sign-up bonuses have included 40,000 Hyatt points or 2 free night certificates that can be used at any Hyatt property. Often, you can add an authorized user within 90 days of opening the account to earn an addition 5,000 Hyatt points. To earn the sign-up bonus, you will be required to meet a minimum spending threshold within a specified time frame. As the sign-up bonus varies, you’ll want to check the details of the current offer to see what is included. Hot Tip: Check out some of the amazing ways you can redeem your Hyatt points for awesome award stays! You can use your annual free night certificate at the amazing Park Hyatt Siem Reap. Image courtesy of Hyatt. Every year you have the card, you will receive an annual free night certificate after your account anniversary. Unlike the free night certificates that have come with the card as a sign-up bonus in the past, these certificates can only be used at Category 1-4 Hyatt properties. Hyatt has some fantastic Category 4 hotels from which to choose, so you won’t have any problems finding a fun way to use your annual free night certificate. For example, you could visit Cambodia and stay at the Park Hyatt Siem Reap, or visit Australia and stay at the Grand Hyatt Melbourne. If you want to stay a bit closer to home, the Andaz Peninsula Papagayo Resort in Costa Rica is only a quick flight away. 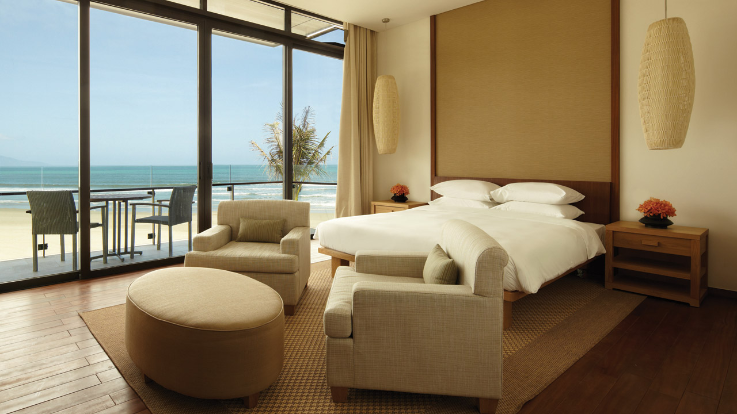 Hot Tip: Don’t miss our article on The Best Ways to Use a Hyatt Category 1-4 Free Night Certificate! In addition, cardholders will receive complimentary Discoverist status in the World of Hyatt program as long as they keep the card open. Discoverist status can also be earned by staying 10 qualifying nights at Hyatt properties (award stays do not count, but Points + Cash bookings do), or by earning 25,000 Base Points. As a Discoverist, you will earn 5X Base Points per dollar spent with Hyatt plus 10% Bonus Points. If requested, you can often receive a late checkout time of 2 pm so that you can take your time in the morning. Additionally, you will receive a preferred room based on the room type you have booked. There are other perks, but these are the most significant. 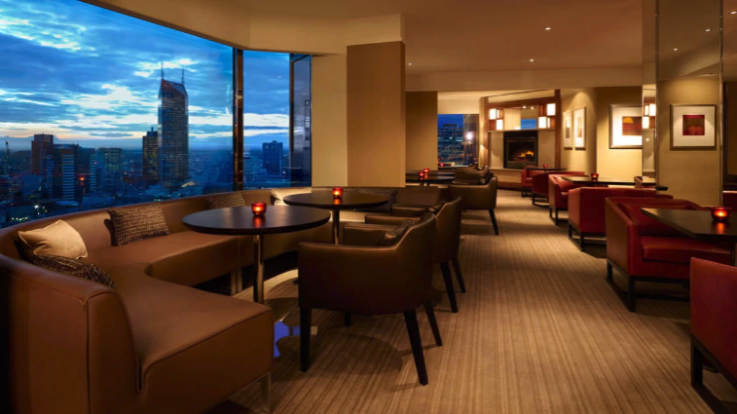 The Grand Hyatt Melbourne is a great place to use your Club Lounge access awards as an Explorist member. Image courtesy of Hyatt. If you have a lot of Hyatt stays in your future, it might be worth earning World of Hyatt’s Explorist status. If you spend $50,000 within a calendar year on the Chase Hyatt Credit Card, you will receive an automatic upgrade to Explorist. While this will be a tall order for many people, it can be very useful if it fits your spending habits and needs. You will of course receive late checkout like Discoverist members…but you’ll also get much more. Rather than 10% Bonus Points, you’ll earn 20% Bonus Points on stays you book at Hyatt plus eligible purchases at Hyatt hotels and resorts. You will also get guaranteed room availability if you book at least 72 hours before your stay. Now, here are the fun perks that Explorist can offer. When you book a stay at a Hyatt as an Explorist, you will receive an upgrade to the best room the property has available (excluding club rooms and suites). Even better, once you earn Explorist status, you will be given 4 Club Lounge access awards, which can be used for award stays as well as cash bookings. When you use one of your Club Lounge access awards, you will get to stay in a club room and enjoy club lounge access where you can have breakfast and enjoy refreshments. Like many credit cards provided by Chase, you have access to a number of travel protections with the Chase Hyatt Credit Card. No one wants to arrive at their destination only to find out that their bags have been delayed. However, with the Chase Hyatt Credit Card, you will be covered if your bags are delayed by at least 6 hours. If this situation arises, Chase will reimburse you up to $100 per day for essentials (e.g., clothing and toiletries) for up to 5 days. Even worse is when an airline loses your luggage and leaves you without any clothes for your vacation or work meetings. With the lost luggage reimbursement benefit, Chase will cover you and any immediate family for lost luggage — whether its a carry-on or checked bag. This benefit also covers damaged luggage and provides you and your immediate family up $3,000 in coverage. If you have a vacation or work trip interrupted or canceled because of an illness, bad weather, or other situation as specified in the terms of the benefit, you could be eligible for reimbursement. In these cases, you could be reimbursed for prepaid, non-refundable travel expenses up to $5,000 per trip. Even when you’re not traveling, the Chase Hyatt Credit Card can help ensure you get the best deal on your purchases and protect those purchases from some unfortunate circumstances. With purchase protection, you can count on coverage against theft or damage to your new purchases for up to 120 days. You are eligible to file for up to $50,000 per account and up to $500 per claim. If you make a purchase only to find out that the same item is cheaper at another location, you might be eligible for reimbursement. With the Chase Hyatt Credit Card price protection benefit, if you find a better price within 90 days, you can be reimbursed for the difference. The reimbursement is limited to $500 per item ($2,500 per year), and the purchase must have been made in the United States. If you need a way to earn some Hyatt points and want some perks for your stays, check out the Chase Hyatt Credit Card. If you have Ultimate Rewards, you can also transfer them to Hyatt so you can earn tons of Hyatt points and book some amazing stays. Do points earned with the Chase Hyatt Credit Card count toward elite status? No. Points earned with the Chase Hyatt Credit Card can be redeemed for award stays, but they aren’t Base Points that help you earn status. Can you transfer Hyatt points to airlines or other hotels? You can transfer Hyatt points to airline partners, but the transfer rates are very poor. You’ll be better off using them to book award stays at Hyatt properties. What points can be transferred to Hyatt points? You can transfer Chase Ultimate Rewards to World of Hyatt at a 1:1 ratio. These transfers process almost instantly.